Each pack has 50 A4 sheet(s) of edible wafer card (rice paper) posted in robust packaging. This is our best quality wafer paper - we call it wafer card. This edible product is twice the thickness of our standard wafer paper. We use this to produce all the quality toppers in ourStandard Wafer Range - smooth on both sides it gives a superior finish to your edible printing an crafting. 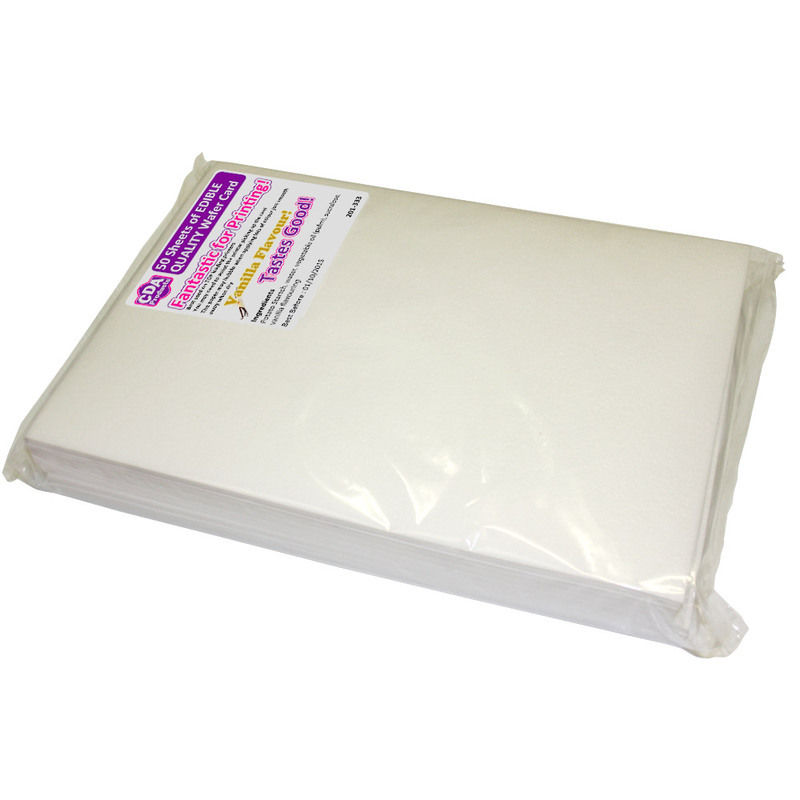 Each pack is hygienically and hermetically sealed in a carefully controlled food safe environment. If you are going to print with a digital printer this product will work best with a top loading printer. It isnt really designed to bend too much and may snap if used with a bottom feeding printer.